Just three months after being acquired by Google, Bump Technologies announced on Tuesday that it will be shuttering its Bump and Flock apps, both of which will be removed from the iOS App Store and cease to function on Jan. 31. According to Bump's blog, the developer is closing down both Bump and group photo album aggregator Flock to refocus efforts on as-yet-unannounced Google projects. "Back in September, we announced that the Bump team was joining Google to continue our work of helping people share and interact with one another using mobile devices," CEO and cofounder David Lieb wrote in the post. "We are now deeply focused on our new projects within Google, and we've decided to discontinue Bump and Flock." Both apps will be available on the iOS App Store and Google Play until Jan. 31, at which point the titles will be removed and all user data deleted. Existing users have 30 days to download stored data, which can be accomplished by requesting an export link in-app. 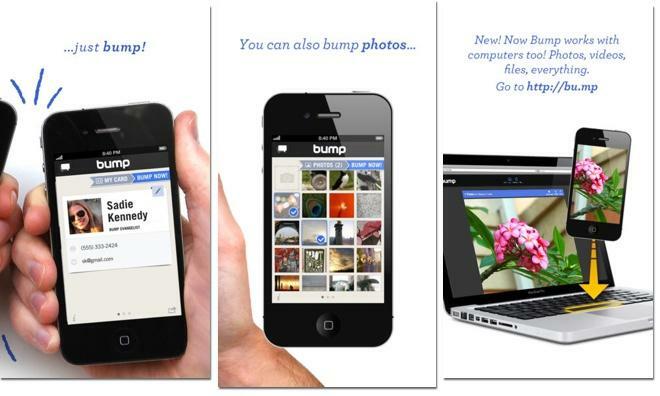 One of the first standout iOS apps, Bump allows users to share various types of data, such as contact information, photos and video, by simply "bumping" two devices together. A subsequent update expanded Bump's functionality to include phone-to-PC transfers. The app's ease of use spurred development of first-party solutions like Apple's AirDrop and various Android NFC systems. For example, in an update for the Apple TV in September, Apple included a "touch to configure" option. The feature leverages Bluetooth 4.0 to let users perform the initial setup of a third-generation Apple TV by tapping it with a supported iOS 7 device. Local file transfer has become an increasingly attractive feature for manufacturers to include in mobile device operating systems, especially given current expensive cellular data plan pricing.